You&apos;ve set the date and everything is ready for the big day. It&apos;s finally time for you to start planning your amazing honeymoon, but you&apos;re finding it difficult to select the perfect vacation destination. Let&apos;s be honest, few places are worthy enough for newlyweds to spend their first nights together as a married couple. 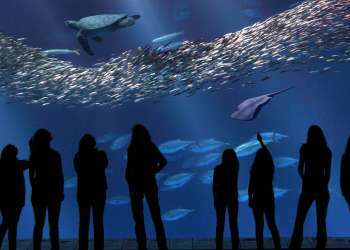 Luckily, Monterey County is filled with hot spots for every type of couple whether looking for high-end indulgences, adventures in untouched settings, or a relaxing time at the beach. 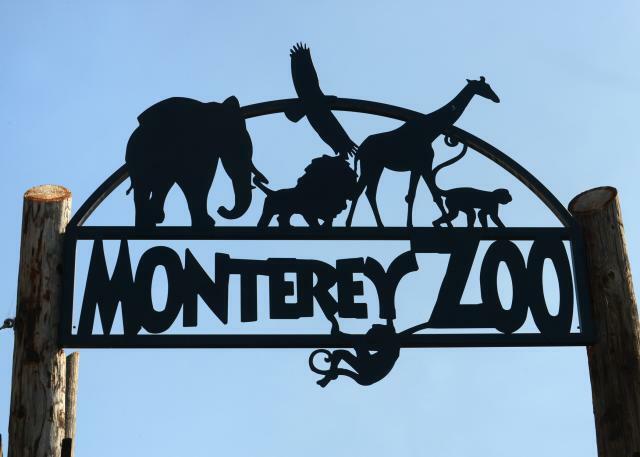 Here are 10 tantalizing places in Monterey County to spend your honeymoon! 1. Deep in the heart of Carmel Valley lays Bernardus Lodge which was made with relaxation in mind, it was also just listed on the Conde Nast&apos;s "Gold List" and Travel and Leisure&apos;s "Top Hotels." The triple threat has everything one could need to unwind including an award-winning spa, a four-star restaurant and unrivaled wines grown from the vineyards just outside the property. As you check in you&apos;re greeted with a glass of Bernardus&apos; wine before you are swept away into your plush European-style suite with a soaking tub, limestone fireplace and imported linens. The tucked away setting with views of the Santa Lucia Mount Range will have you thinking you were in Italy! 2. When it comes to first class service, Casa Palmero at Pebble Beach has you covered. With only 24 private rooms in the Mediterranean-style villa you will feel like you have the views of the first and second fairways of Pebble Beach Golf Links to yourself. Lucky for you the legendary Spa at Pebble Beach, just awarded a five-star rating by Forbes Travel Guide, is located just steps away offering the ultimate in pampered services. If that&apos;s not enough, you can get with your personal coordinator who can arrange for tee times, dinner reservations and transportation. 3. L&apos;Auberge Carmel, a delightful boutique hotel pocketed in the center of Carmel-by-the -Sea, is an ultra-special enclave where you can get the VIP treatment you deserve from the minute your valet greets you at the curb. Originally built in 1929 in the likeness of a Provencal farmhouse, L&apos;Auberge&apos;s 20 guestrooms are built around a central garden courtyard with a splashing fountain and vintage-style fixtures. L&apos;Auberge&apos;s special Honeymoon Suite on the top floor looks includes an oversized claw-foot tub for long lazy soaks, a super-plush bed and complimentary breakfast (brought to your room if you so desire). No need to leave for dinner as Aubergine, the inn&apos;s jewel box of a restaurant, serves up meals of a lifetime with an award-winning wine list to match. 4. The only decision you have to make at the Sanctuary Beach Resort is ocean view or dunes view? The plush seaside escape situated in between the pristine Marina State Beach and the majestic Marina Dunes is designed with pampering in mind. You don&apos;t even have to worry about lugging your bags around as you will have your personal electric golf cart to mosey around the property and beach. Comfy rooms and suites are each complete with gas fireplaces, a private deck and binoculars to scope out some of the migratory birds. Take full advantage of the resort&apos;s amenities including a heated outdoor pool, and s&apos;mores at sunset at the nearby fire pits on the beach and a delicious onsite restaurant, Salt Wood Kitchen. 5. The Spindrift Inn Monterey, one of the most luxurious European style hotels on the central coast, is a perfect place for weekend getaways or week long honeymoons. The Inn is one of the famous deluxe hotels found along Cannery Row and has been named as one of the "Most Romantic in the U.S." by TripAdvisor for good reason. The hotel features 42 spacious rooms each having its own balcony from where you can enjoy views of the Monterey Bay or Cannery Row. Each room is equipped with a romantic wood-burning fireplace, an inviting window seat or balcony, traditional furnishings, hardwood floors, oriental carpets, charming antiques, original art and marble bath. To sum it up, the oceanfront property is an escape from the lively hustle and bustle on Cannery Row and its old-world charm makes guests feel right at home. 6. 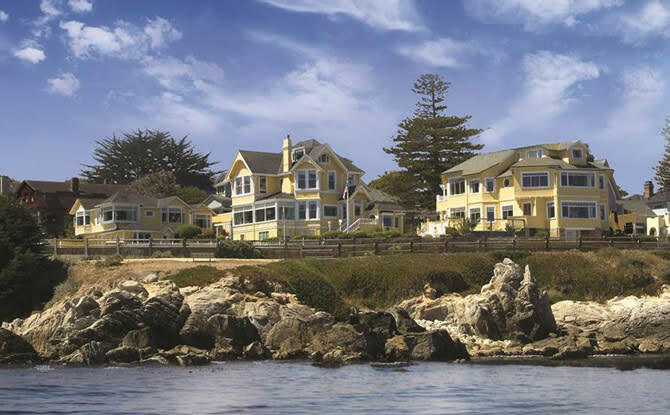 Boasting a prime location just outside of Monterey Bay, the Seven Gables Inn is a Pacific coast gem perfect for newlywed romance. This Victorian style inn is spread out over 7 buildings where each of the 25 rooms has a view. Guests are pampered with a full breakfast spread, afternoon wine and cheese and cookies and milk before bed. Profess your love to your mate at Lover&apos;s Point Beach, just a quick walk from the inn, and then continue on a romantic waterfront stroll on the nearby Monterey Bay Coastal Recreation Trail. 7. The Old Monterey Inn in the heart of Monterey is perfect for those looking for a quiet and intimate retreat. The English Tudor mansion is nestled among lush gardens and whimsical fountains, perfect for curling up with a good book or your new spouse. Cozy yet refined, each of the sumptuous guestrooms has a private bath, fine linens and rich furnishings. You might find it hard leave your comfy feather bed and down duvet but their gourmet breakfast and afternoon wine reception near the crackling fireplace are well worth it! Want to sweep you loved one off their feet? 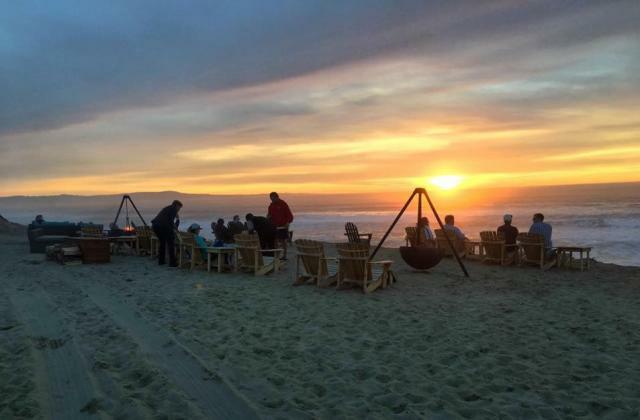 The sentimental staff of the Inn can arrange a bonfire on the beach, complete with a blanket and s&apos;mores as you watch the sunset over the Pacific Ocean. 8. Sitting in a hotel room not your style? Ventana Big Sur offers couples with a more refined way to connect with nature via their plush "glampsites." 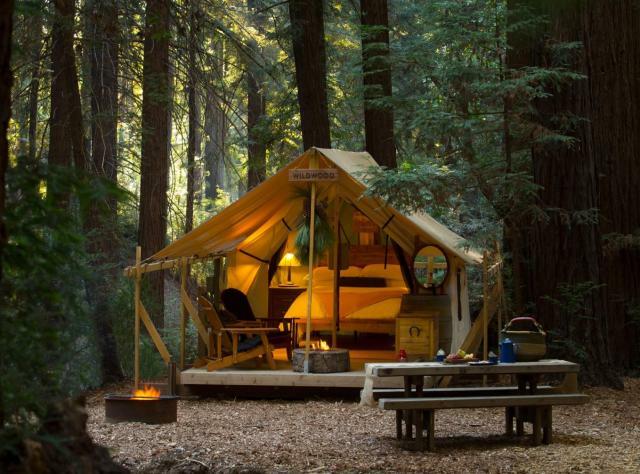 The property perched along Big Sur&apos;s coastline allows guests to fully enjoy the fun of camping with the comforts of a safari-style canvas tent. Glamping provides a great honeymoon option for couples who want to experience nature, star strewn-skies and wildlife with the luxuries of a warm bed. Honeymooners can sip wine on their private redwood deck and stargaze the night away to the sound of waves and sea lions. Couples can even indulge in a Couple&apos;s Massage at the nearby Spa Alila to ease weary muscles after a long day of hiking. 9. 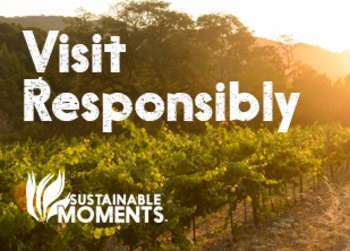 Experience an African safari right in the heart of Salinas Valley for a truly memorable honeymoon. Vision Quest Safari, situated at the Monterey Zoo, houses all sorts of animals once used for television, live productions and education. Listen to roaring tigers and trumping elephants right from your canvas tent bungalow fully equipped with restrooms and running water. Bungalow #6, known as the "honeymoon suite" is romantically outfitted for two, with double showers and a private deck complete with an outdoor sitting tub with breathtaking views of the Salinas Valley. Make sure you are up in the morning as an African elephant makes the rounds to personally deliver breakfast. 10. Immerse yourself in nature without even leaving the comforts of your room. Captain&apos;s Inn, located in the friendly fishing village of Moss Landing, has spectacular ocean views with tons of action happening right outside its windows. Sightings of sea otters, seals and migratory birds are just a common occurrence around these parts and the B&B&apos;s charming nautical theme will make you feel like you are the captain of your own ship on the open sea. For a truly adventurous spin call the folks at Monterey Bay Equestrian Center. They can meet you at the nearby Salinas River State Beach for a romantic horseback ride along the beach, a perfect way to spend time with your loved one.